One of the pleasures of writing for Avalon is getting to know other writers, especially those who write in different genres than I do. 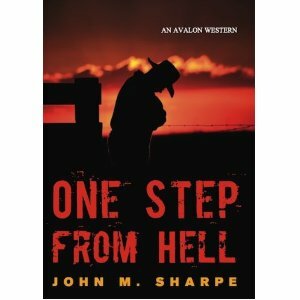 JOHN M. SHARPE writes Avalon Westerns. I know that he has also written a number of screenplays, so I asked him about the differences between writing for the screen and the page. Here’s his answer. I think you’ll find it interesting. Maybe it will even inspire you to try something different. First, just a few words about our guest: John M. Sharpe was born in Canada, moved to Boston as a teenager, and after college and the US Army, found his niche as an advertising copywriter. He left advertising for a career in freelance writing and fiction. He now lives in Virginia, where he continues working as a novelist and a freelance writer. OK, time to let John speak for himself. The way things tend to work, we are apt to see a piece of long fiction written as a novel first and then later, usually when and if the money gods conspire, adapted as a screenplay. Having a long and illustrious career of doing things backwards, it would come as no surprise to learn that my two novels published so far by Avalon were first written as screenplays. My personal relationship with the money gods has always been a bit standoffish at best. As a result, I decided a few years ago to turn a couple of the scripts I had written into novels, on the theory that I couldn’t do any worse than I was doing, i.e., 12 scripts written, zero scripts sold. With nothing to lose I chose One Step From Hell and Hobbs and the Kid, a couple of Westerns. A genre that was pretty much impossible to sell to Hollywood at that time –– and still is, if the number you see on these screen these days is any indication. (Although I did option Hobbs and the Kid once and some money changed hands, the producer was never able to raise the financing. So, I convinced myself, the hardest part of the job was done. The stories were all plotted, the characters were in place, and most if not all of the dialogue was written. As it happened for once, my expectations turned out pretty much as I –– well, had expected. Having always been either too lazy or impatient to do outlines, I found that having the script to work from did indeed make the writing easier –– not better, unfortunately, just easier. I was reminded at that point of some words of wisdom I had read from a man named Syd Field years before. Syd was one of the pioneer instructors in what exploded into the “how to write a screenplay” business. He said, among other gems, that the hardest part about writing was knowing what to write about. In all the years I’ve been scribbling away, I’ve never found reason to disagree with him. Having a completed screenplay to work from when I started my novels sure solved that problem. I also found a certain sense of rejuvenation in going from one literary form to another; sort of “a change is as good as a rest” if you will. Though the spoken dialogue was, for the most part, directly transferable, other elements were not. Screenplays have no interior dialogue, no thoughts, unless you resort to voiceover or titles, both of which are virtually taboo for the modern script. So what your character is “thinking” has to be expressed in some form of visual action or reaction. And there is a freedom of sorts going from script to novel when you find you can write a few lines or even paragraphs that describe what you character is saying to himself or thinking or ruminating about. Of course the flip side of that is the time (and words) in a novel required for description –– of all kinds; unlike in a script for a visual medium, where the fewer words the better when it comes to describing how your characters look, act, and/or where the action takes place. All that aside, I heartily endorse the idea of a novelist trying out a screenplay, or a script writer trying out a novel –– just to let a little fresh air into his or her writing once in a while. For me, putting the cart before the horse was a fun ride. Thanks, John. Reading your take on the screen/page question was a fun ride too. Very interesting, John. I guess it’s most every writers dream to see their novels turned into screenplays and then actually see the end product either on TV or big screen. I’ll admit, that I would love it. But, I write westerns, too. And as you’ve said, the chances are slim to none of getting noticed. I enjoyed your article and I enjoyed Hopbbs and the Kid. Thanks, for stopping by, Loretta. I think you’re right that most writers dream of seeing their story unfold on the “big screen”. When I write anything, usually I start with the idea for the story and then have to make myself decide whether to start writing it as a script or a novel, as I have interests in both media. I’ve never really thought much, though, what it would be like to have one or the other already written and then to try to adapt it myself. Funny that I never thought about it, because this morning I wrote a “draft” for a prose piece in script format cause all I felt like working on was figuring out the dialogue, haha. Maybe I should try flipping back and forth like that more often, seems like it could be a very helpful exercise. Also–I feel the need to mention that I need an internship myself within the next year or so and have been crossing my fingers for something with script reading. ^_^; I swear that if I attain such a thing, I will have all due respect for the certainly much much much greater experience of the writers whose scripts I will be evaluating. College students aren’t all bad! Thanks for sharing your thoughts with us, Rose Red. Are you a college student? Good for you for knowing what you want to do so early in life. It took me a long time to have the confidence to believe I could actually BE a writer. Good luck to you!